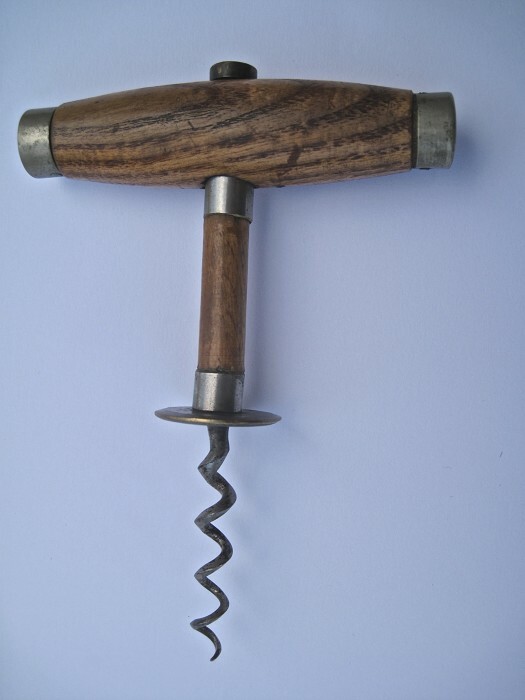 This is a less common version of the Berkeley Henshall type corkscrew with a light varnish wood handle with nickel end caps and a matching wood shaft cover. At the top of the shaft is a brass ring marked “ Rd 202169” for the 1892 British Registered Design of Berkeley and Company, Birmingham. The button has a slightly knurled edge and flat bottom, and the worm is a triangular cyphered helix. See Ellis & Ellis – Corkscrews – British Registered Designs page 91. The picture is this corkscrew ! Very good, slight marks and dents on the end caps, underside of button has scratch marks, wood handle is good, worm is intact. Happy to take cheque in Sterling or Bank Transfer. If transaction over £500 would prefer to avoid PayPal.